Having spent the whole of the season to date on loan at Carlisle United, defensive midfielder Tom Taiwo has made his move to Cumbria permanent, today signing a two and a half year deal with the League One club and ending his time at Chelsea. Tom, you will remember, arrived at Chelsea in 2006 from Leeds United in a deal with fellow midfielder Michael Woods. It caused a furore at the time, largely due to Ken Bates’ anger at the poaching of two of his club’s brightest prospects (surely not a coincidence that it was at the hands of his former charges). However, whilst Woods began to make a major impact, debuting in the first team within six months, Tom’s start in blue was harder. He suffered a broken leg in pre-season and wasn’t able to return until the start of 2007. It was to signal a Chelsea career which never truly got underway, but one which still has a bright future. With 50 competitive appearances in a blue shirt to his name, the England youth international (Under 16 and 17) headed out on his first loan spell last summer at Port Vale in League Two. 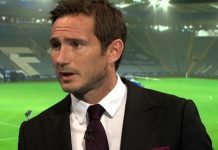 He was managed there by Lee Sinnott, who had coached him in the Leeds youth ranks, but when Sinnott was sacked early in the season, Tom returned to Chelsea. The remainder of 08/09 was a washout and his future at the club was very much under question. A summer trial at MLS newcomers Seattle Sounders was positive but came to nothing, so at the start of the current campaign he headed to Carlisle for his second, and hopefully more successful loan spell. In short, he’s been a revelation at Brunton Park and one of the club’s best players this season so far. Tough tackling in the middle of the park, he is a key reason behind their impressive form, pushing them into the top half of the table at one point (they should return there if they win their games in hand) and deep into the Johnstone’s Paint Trophy competition. His loan spell expired last weekend but the club worked hard to get a permanent deal done and despite late reported interest from Barnsley and Plymouth in the league above, it was Tom’s relationship with United manager Greg Abbott which has resulted in today’s news.